The highest compliment that could be paid to L’Auberge Provencale is that it feels like home. Staying at a hotel can feel cold and corporate and, though the luxury may be there, you just can’t shake that feeling. What if you could have the best of both worlds? 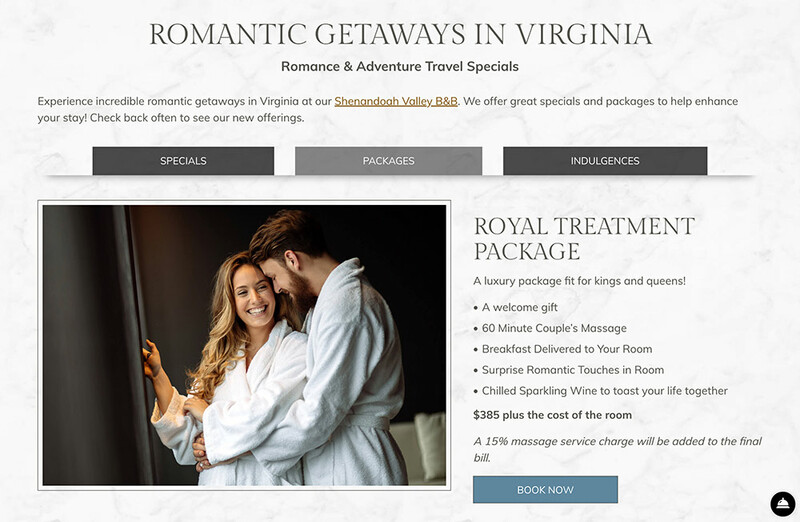 A beautiful and luxurious stay at the Shenandoah valley’s premier vacation destination that keeps its warmth and charm while still providing an unparalleled experience fit for the modern traveler. 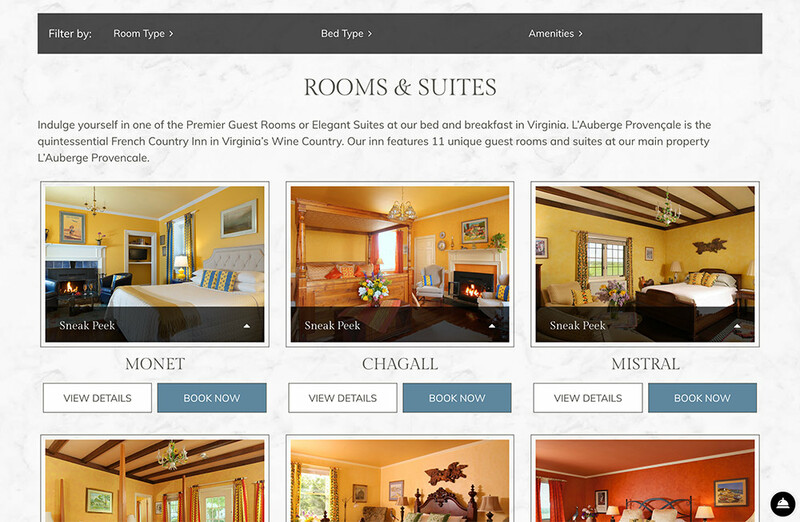 No place on the property better exemplifies this ethos than the rooms. 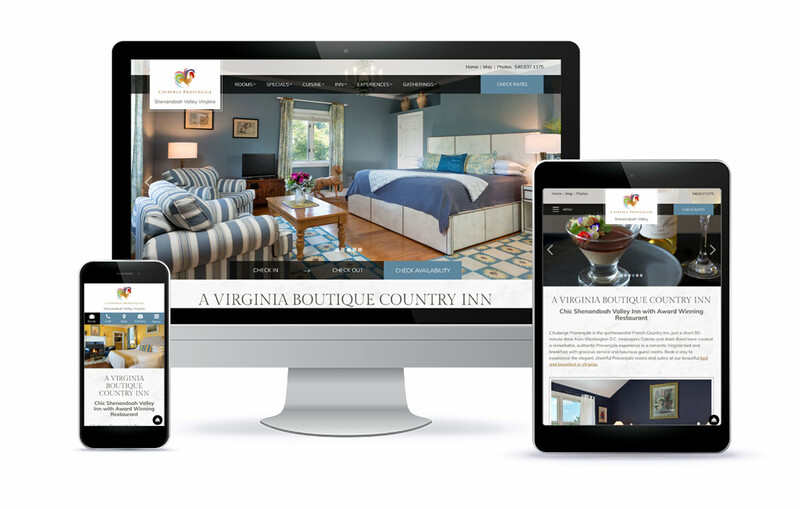 Elegant and distinct, rooms at both the main inn and the Villa embody the signature spirit of the French countryside while also incorporating local Virginia stylings. The end result is rooms that feel both exotic and homey. Soft yellows and light reds mixed with subtle blues create a distinct color palette pleasing to the senses and soothing to the soul. At L’Auberge they want to truly be your home away from home. 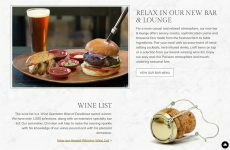 There’s nothing quite like a delicious meal to bring people together, and that brings us to the other signature aspect of their guest experience, the cuisine. Indulge your taste buds with culinary concoctions cooked up using only the freshest ingredients. To aid in this endeavor, L’Auberge tends to vegetables and herbs grown on property at their garden with an orchard providing succulent fruits for each dish. Experience a gourmet breakfast unlike any other served in the Sun room or outside on the patio. Stop by in the afternoon for freshly baked pastries, sweets, and seasonal drink refreshments. And in the evening, dine at the acclaimed La Table Provencale, one of the best restaurants in all Northern Virginia. 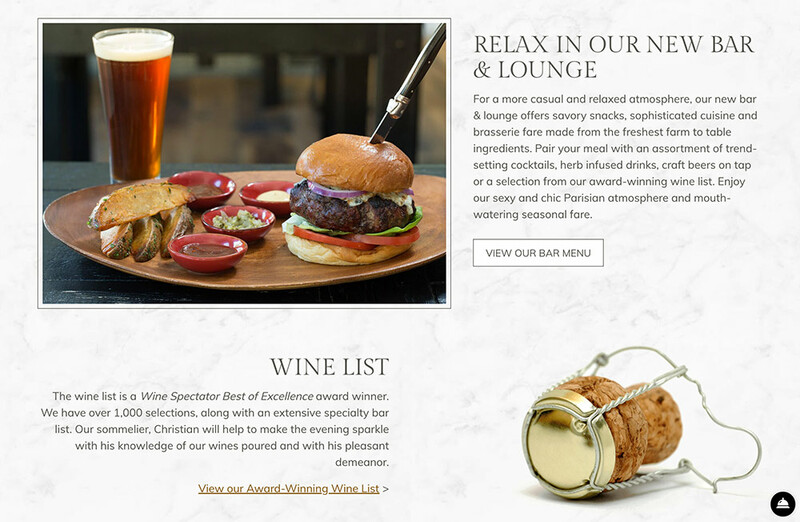 An exciting blend of modern American and French cuisine, the seasonal menu serves up decadent dishes unlike anywhere else. When you feel that wanderlust and need to get away from it all, it doesn’t have to be a foreign experience. 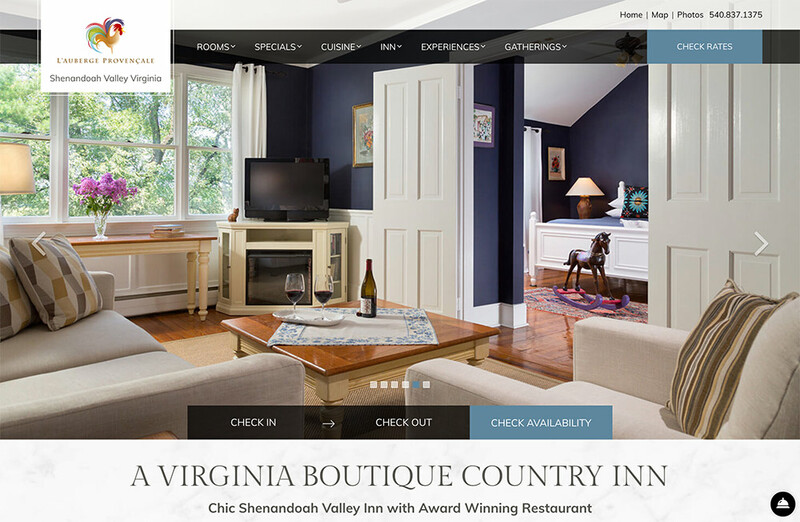 Come and stay where you will feel at home while also enjoying the best accommodations this Shenandoah Valley Inn has to offer. They hope to see you soon but, for now, Au Revoir! My dear Celeste – Rarely do clients become such close, personal friends. This project was very personal to us and whole team put all the extra special love in this fantastic design because of who you are! I can’t wait to see how this one performs – it’s a winner!